If you’re a politician, start-up enthusiast, non-profit guru, foodie, fitness junkie, bottomless brunch aficionado, or just unemployed and looking for a fresh start, Washington DC is the place for you. Washington DC is a city full of hustle and bustle that can seem intimidating from afar. Lucky for you, we’re here to help! This guide will lay the foundation for everything you’ll need to know before making a move to the nation’s capital. Which DC neighborhoods are most affordable? 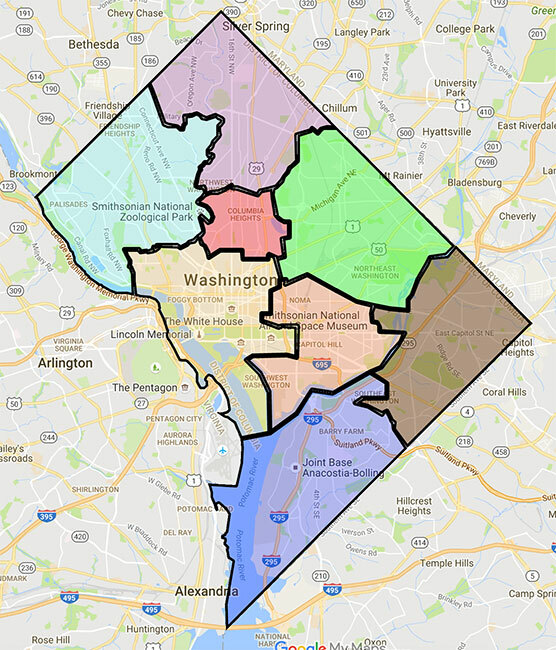 Which neighborhood in DC is the best fit for me? How long is the commute in DC? 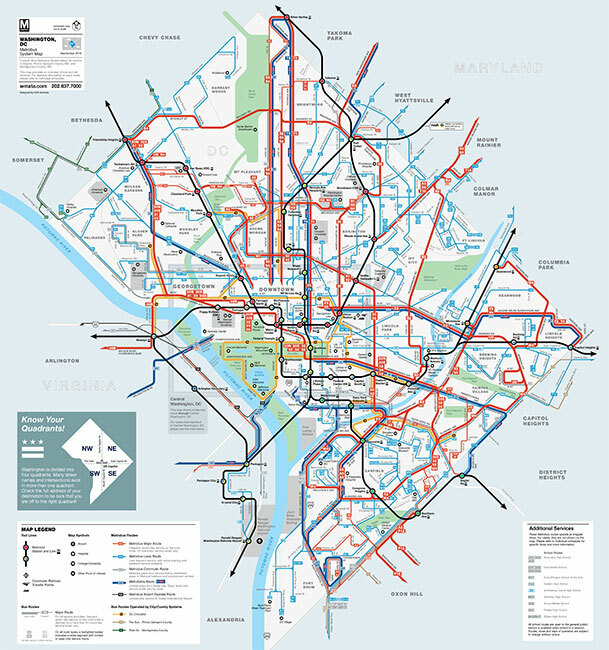 How’s the walkability, bikeability, and public transportation in DC? Where can I find apartments and houses in DC? How much will it cost to move to DC? What’s fun to do in DC? And if you’re looking for more info on moving to Washington DC, check out our resources on the cost of living in DC, DC Neighborhoods, and our San Antonio move cost guide. With a population of 693,972 residents, DC is the 21st most populated city in the country as of 2018. DC’s average rent price is $2,012, which makes it the 14th highest rent in the country. Basically, DC is on the same price level as New York and San Francisco, so you should think twice about moving here if your finances aren’t in order. And in case you failed 3rd grade civics class, Washington DC is the capital of the United States. It’s where the President and the vast majority of federal officials live and work. If you can afford it, living in the seat of power is a thrilling experience. 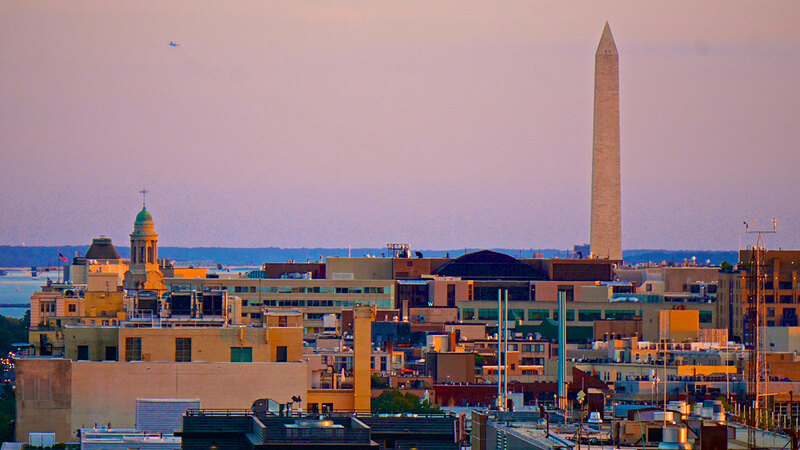 For more of a visual overview of DC’s most iconic locales, check out this arial tour. 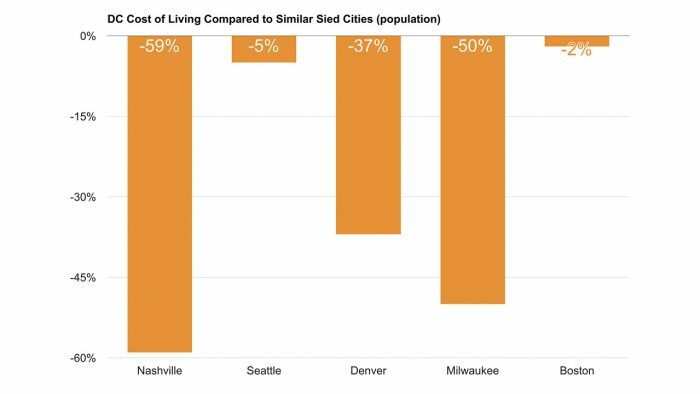 DC is super diverse but gentrification is on the rise in many areas which has led to a severe increase in the cost of living in many once affordable areas. 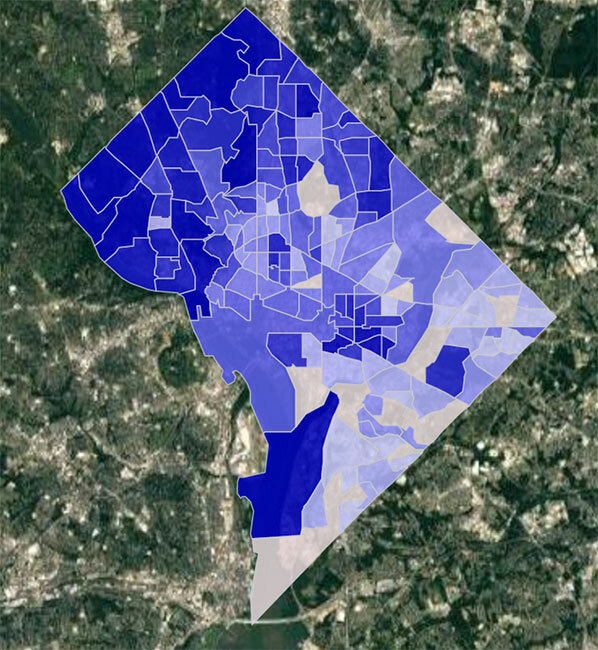 The neighborhoods in the DC metro area are divided into Wards. This guide may be the single most in-depth summary of the city you’ll find. Note how DC is separated into 4 separate quadrants (NW, NE, SW. and SE). We can’t state this strongly enough: these are VERY important. Don’t type in 100 L St SE into your GPS instead of 100 L St NW or you’ll end up in a totally different part of town. The closer you are to the White House, the more expensive the rents. You’ll find most of the wealth in NW whereas the opposite is the case the deeper you get into SE (mainly past the Anacostia River). Downtown, Penn Quarter, Chinatown, and Georgetown are some of the higher-end neighborhoods that’ll provide plenty of trendy activities and locales but will likely run you between $2,500 and $2,700/month in rent payments. 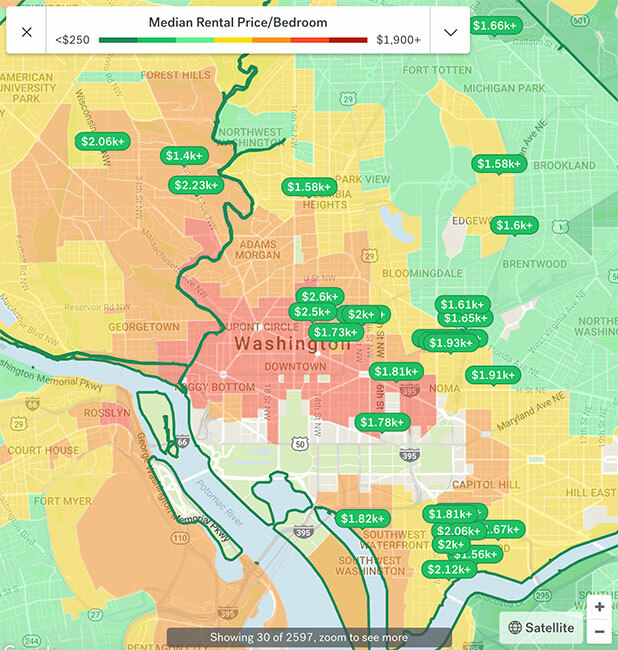 People with a tighter budget can find a decent place under $1,400 in Trinidad, Langston, Kingman Park, Navy Yard, U-Street/Shaw, and Anacostia. But rent costs aren’t everything. You’ll also want to find a neighborhood that suites your lifestyle. 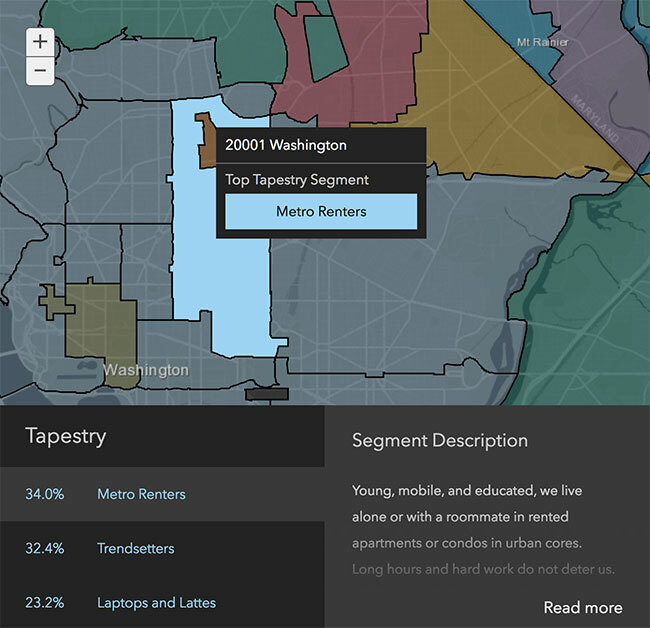 The website Esri.com does an amazing job breaking down demographics by zip code with their ziptapestry tool. For example, if you plug in Washington (20001) into the tool you’ll get a full breakdown on the primary types of people living in that area. How cool is that?! Once you’ve found that perfect neighborhood, you’ll still need to make sure you can get to work in a reasonable time. Let’s discuss commuting in DC. What are commutes like in DC? Washington is notorious for horrible car traffic. DC drivers spend more than three days out of every 365 caught in traffic. In general, it’s a good idea to live on the same side of the Potomac and Anacostia rivers as you work. This will save you from crossing the river bridges, which serve as de-facto bottlenecks for traffic. If you don’t have an EZ-Pass, get it! The roads from Virginia and Maryland leading into DC have a lot of toll booths. That’s why getting one of these bad boys is so vital. They’ve also added a bunch of express lanes from Virginia. All drivers using the new lanes, except motorcyclists, will need to have an E-ZPass in order to skip the long waits. Those planning to carpool will need an E-ZPass Flex, a switchable transponder with a carpool setting. Federal workers can receive a monthly transit benefit that pays for Metro rides and for parking at Metro stations. Other workers can take advantage of a pre-tax deduction from their salaries to pay for transit use. Programs such as NuRide and Pool Rewards offer incentives to workers who avoid solo driving. Services such as Commuter Connections help link up people who want to share rides. Bottom line: if you plan on driving a car to work, either live close to work or start buying some audio books to pass the loads of time you’ll be spending in traffic. When at all possible, take public transportation, bike or walk. The DC Metro offers both train and bus service. 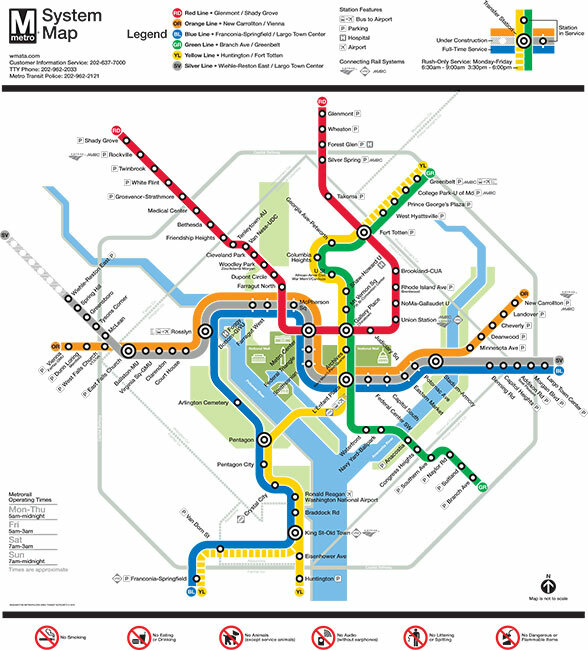 Metrorail provides train services between 91 stations in Virginia, Maryland, and DC The Metro has six color-coded lines: Red, Orange, Silver, Blue, Yellow, and Green. The system’s layout is such that it’s possible to travel between any two stations without transferring more than once. You can find out more, including train fares, here. It’s worth mentioning, the MTA does some funky tricks with its pricing, and it’s easy to get caught at the station with the dreaded “Insufficient Funds” warning blinking in your face. To make sure you always have an even denomination left, it’s a good idea to never have more than $20 on your Metro card at one time. The Metro is also going through a major reconstruction known as SafeTrack. Expect delays/early closings/multiple frustrations. Uber Pool is a solid, affordable alternative. The Metrobus stops at 11,500 bus stops in the DC area. Bus stops are designated with red, white, and blue signs. Go here to find stops, routes, and discounts on rail-to-bus or bus-to-rail transfers. A lot of people bike to work too. Arlington, Silver Spring, and Bethesda are just a few of the DC-adjacent suburbs with convenient biking options. You can also join the Capital Bikeshare program. You can get bikes for a day, 3 days, a month, or a year, and have access to them 24/7. The first half hour of each trip is free, and each additional half hour incurs a fee. What’s the crime rate like in DC? So, statistically speaking, Washington DC’s crime rate isn’t great. Neighborhood Scout puts DC’s Crime index rating at a whopping 3 out of 100. But, as with most cities, personal caution and situational awareness matter a lot more than geography and some nebulous statistic. So, check out the map to see where the areas with the highest crime density are and do your best to not be wandering around them past midnight. While the stats and maps may make things look pretty dire, it’s important to note that Violent crime in DC is actually down significantly from 2014. So yeah, don’t be an idiot, stay out of trouble, and avoid being a jerk who invites people to antagonize you and you’ll be fine. Before we start looking for apartments, let’s first consider what kind of accommodations you’ll need in DC. 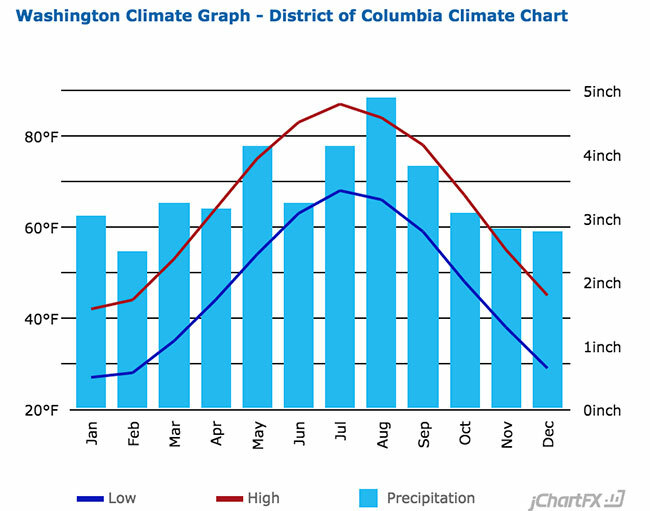 DC has relatively mild weather for a city in the Eastern United States. Still, as is the case with the region, the winters get plenty cold and the midsummer months can be very hot. You’ll definitely want an apartment with heating and air conditioning. The laundromat situation in DC can also be pretty spotty. The closer you’re to the center of the city the more likely it is to have a local laundromat nearby. But if you’re planning on commuting you’ll want an apartment with a washer/dryer. When looking at accommodations, you should also consider how they’ll impact the average cost of utilities, particularly since everything in DC tends to be expensive. It may surprise you, but Craigslist is a very useful site in finding apartments (especially places whose owners/landlords are desperate to rent out). Like we’ve discussed, DC is an extremely expensive area to live in. And although rents have decreased 3.14% between 2017 and 2018,compared to a 3.43% increase in the country as a whole, rents were already sky high. DC’s vacancy rate decreased to 4.57%, compared to 5.85% for the nation as a whole. Basically, there’s not a lot of places to rent, and the ones that are available are pricey. Good luck. 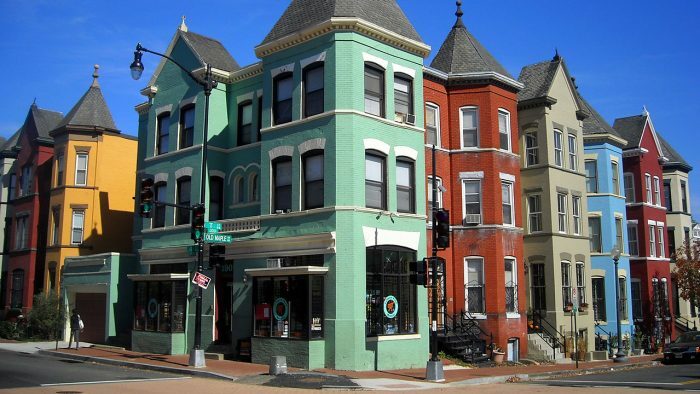 Before you take the oath of renting an office, here are some links about DC rental law. And remember!…rental laws in Maryland and Virginia may be slightly different, so be sure to investigate depending on precisely where you end up renting. DC has some of the nicest, classiest and most expensive suburbs in the country. Places like Arlington, Alexandria, and Chevy Chase all have average household incomes at or near six digits. It stands to reason that renting houses or apartments here will also be expensive. 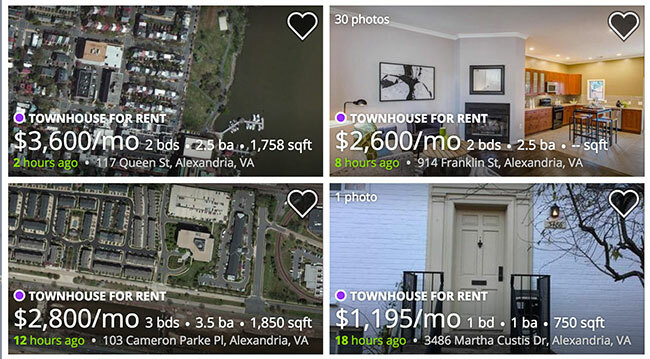 A place in Alexandria, which is on the Virginia side of the Potomac, will run you between $2,000 and $5,000. Same for Chevy Chase and Arlington. However, if you’re looking for somewhere to live on a more modest budget (and don’t mind a bit of a commute) you can look towards Bethesda, Rockville, Silver Spring, or Takoma Park. These may be a bit further from the city than the pricier neighborhoods, but many of them make up for that with convenient public transportation options. 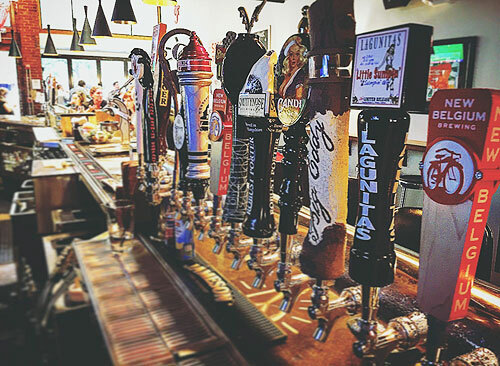 DC and its surrounding neighborhoods offer a wide variety of nightlife options wether you’re looking for a good meal with cocktails or just going out for drinks at the end of a long day. For a more casual drinking and dining experience, check out Tryst, a cozy barcafe that boasts non-corporate coffee and an insanely wide variety of vodka martinis. Or, if you’re looking for something a bit more retro-nerd-chic, check out the Board Room for a night of beer and tabletop gaming! For those looking to focus more on drinking than ambiance, Bourbon’s massive selection of craft whiskey, upscale dinner, and brunch cocktails won’t disappoint. For something a bit more causal, you can also check out the brand-spanking new Service Bar for cocktails and a rotating menu of dishes made entirely from local ingredients. 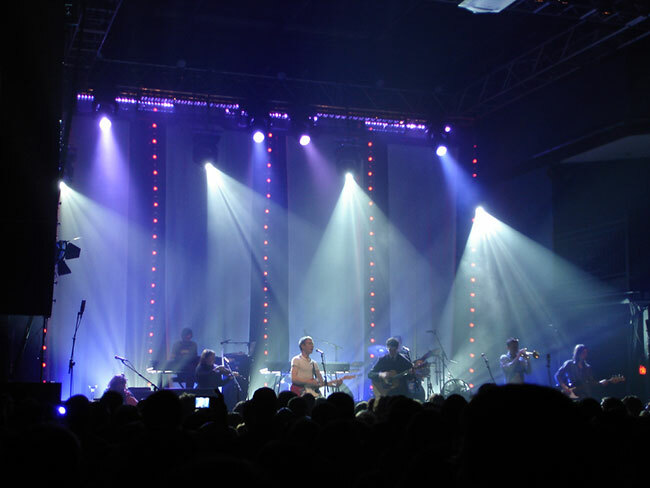 DC also has a vibrant and thriving live performance scene with notable music venues such as: Songbyrd, the Wonderland Ballroom, the U-Street Music Hall, and the 9:30 Club. Or, if you’re in the mood for a laugh, check out the DC Improv Club (as with all improv, your results may vary). If you plan on parking a truck on the street in DC you’ll need a permit. You can get one at the District Department of Transportation website. The permit cost is around $60 and allows you to block the street for up to 16 hours. Yay! You’re now a Washingtonian. Now do these things. Voter Registration: you can find the steps to register to vote here. Driver’s License: if you’re from out of state and wish to become a DC resident, you must get a Washington license within 90 days of moving. You can find out how to do that here. Vehicle Registration: find the steps for registering your vehicle here. Trash & Recycling: the city handles trash and recycling. You can find your trash collection days here. Ways to meet people: there’s always tons of ways to meet new people. One great way is to use meetup.com. But the BEST way? Join an intramural league! They play all over the city and it’s a great, social way to meet new people. With tons of free activities, and a dense historic, food, and music culture paired with an overall “hustle and bustle” city vibe, The District offers a lot to new residents. Here is a list of 100 free activities. You can find multiple inexpensive options as well. Brightest Young Things is your go-to social guide for concerts, festivals, free (and almost free) things to do on any given night, outdoor movie sightings, bad first date options etc. 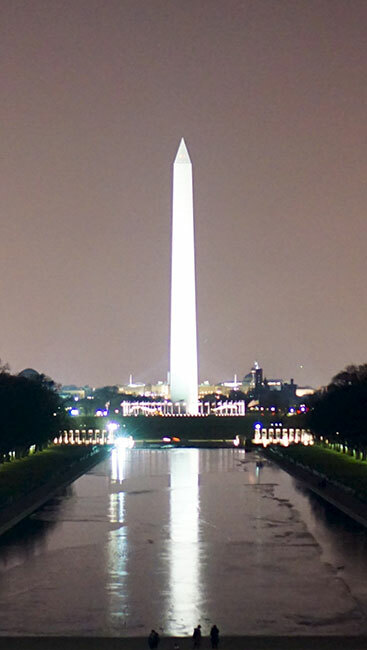 Being the nation’s capital, DC is one of the largest hubs of American history in the country too. The city abounds with breathtaking monuments and museums celebrating the rich political and military history of the United States as, not to mention all of the museums. 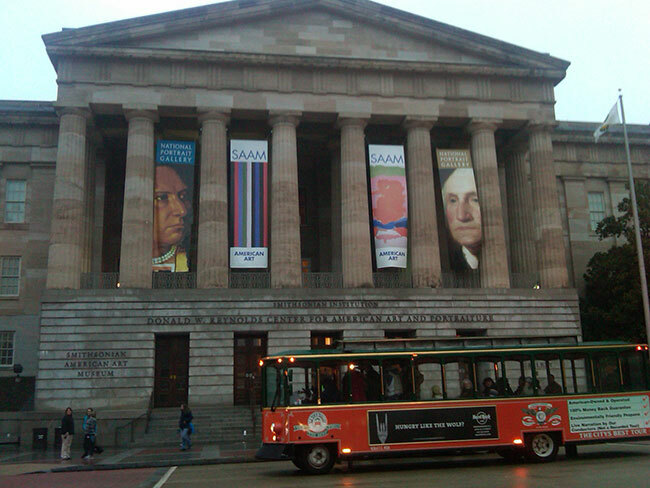 For those looking to visit three of the best hubs of knowledge in the country, The Smithsonian is just as impressive and all-encompassing as it’s reputation implies. Or, if you’re looking for something a bit more unique, you can gain insight on the history of espionage, you can explore the International Spy Museum. 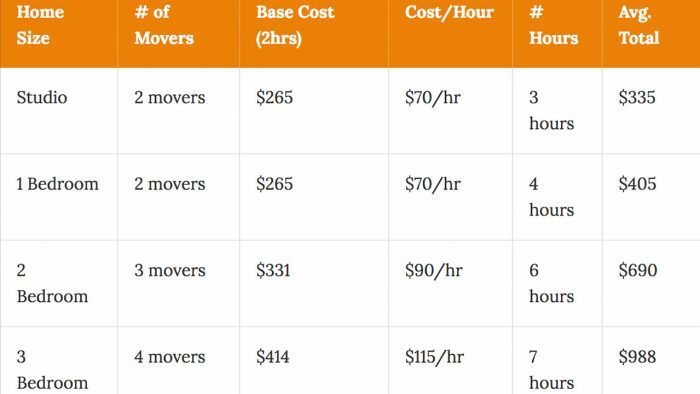 What Is The Cost To Move In Washington DC? What is the cost of living in Washington DC?